Nightlife in the city is especially bright, merry, and beautiful. By the way, the city is relatively safe, secular, and liberal. Lonely female tourists are made a pass at not that often as in the south of the country, and on the streets you can easily communicate in English or even Russian — you are no doubt to be understood. Everyone who visits Istanbul can find a place to sleep, according to his or her preferences and financial possibilities. In the city, there are a huge number of hotels and hostels, the cost of rooms in which can vary from 5−7 to 500−700 euros per night. If your budget allows, you can rent a room in a fashionable hotel, if not — the hostel will help you. The same applies to the food. You can always have a hearty and tasty meal in Istanbul at very democratic prices if you want. In case you need luxury, there are plenty of expensive restaurants in the city as well. It would be strange if such a huge and interesting metropolis had no marinas. Because there are always a lot of tourists wishing to make a short sea voyage. The most famous marina is "Atakoy Marina". This is not only the main wharf for yachts in Istanbul but also the largest one in the whole Turkey. This marina amazes with its greatness, convenient planning and the availability of all kinds of services. Its capacity is about a thousand ships, of all kinds, shapes, sizes — both sailing and motor. Even if you are not going to rent a yacht, this place is worth a visit. 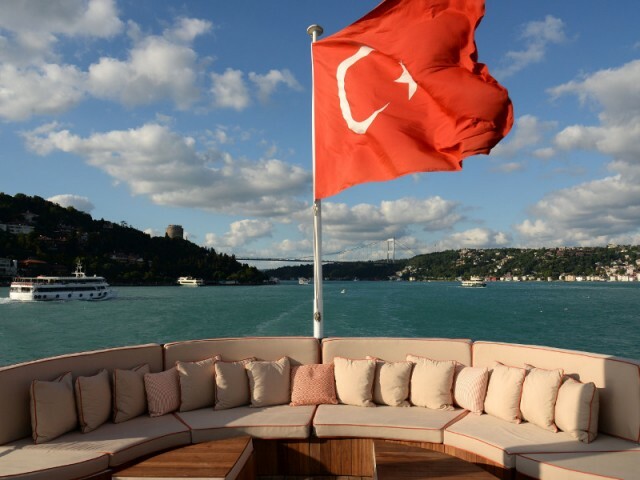 There is no that fuss typical for Istanbul, and views of the pier, the sea, and anchored yachts calm the soul and body, especially with a cup of relaxing coffee. There a lot of entertainment in Istanbul. Absolutely any person, regardless of his or her preferences, will find something to enjoy. We can continue this list indefinitely. Even after a long vacation in Istanbul, you will realize that you have not seen all the interesting places. And this, perhaps, will be the only disappointment. If you want to see more, you must rent a car, but for this you need to have an international driving license. There are no problems with transport in such a huge metropolis. In Istanbul, there is an international bus station Buyuk Istanbul Otogari. The city is literally filled with taxis. If you bargain, you can reach any place in Istanbul at an affordable price. There are two international airports in former Constantinople: Ataturk (24 km from the center) and Sabiha Gokcen (Asian part of the city). The city authority is planning to build a third air harbor. There is also an excellent system of public transport — buses, trams, metro. Istanbul is the largest city in Turkey, the capital of four empires — Roman (Eastern), Byzantine, Latin, and Ottoman. This city, previously known as Constantinople, is one of the country’s most popular routes. The fans of history, architecture, shopping, nightlife, and other things go there. In Istanbul, you can find just everything.